Working out, remembering to eat healthy, and staying faithful to a fitness regime can be difficult to say the least. And especially so if you have no accountability to encourage, motivate, and inspire you along the way. Some days, waking up extra early to get a workout in sounds like a terrible idea when curling up in your warm, comfortable bed is the other option. Here at Optimal Health Medical Fitness, we understand the frustration that comes with implementing a health and fitness plan into your lifestyle. Working out and staying consistent with your fitness is difficult. But we believe it is worth it. And we want to help you make fitness and exercising a priority in your life by giving you the tools, resources, training, and encouragement necessary that will help you be successful. One way that we do this is through fitness classes — one-on-one training and training in group settings. If you need a more hands-on approach to your workout training, participating in one of our classes just might be the key to achieving your goals. 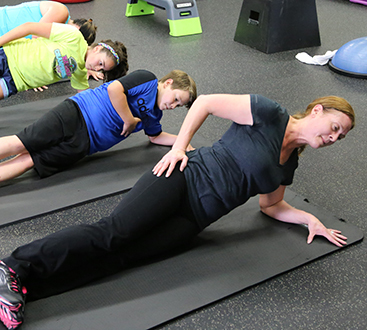 Listed below are a few of the fitness classes we offer at Optimal Health Medical Fitness. Check them out and see if one catches your attention. Despite the name, no camping is involved during these fitness classes. With a focus on interval training, our boot camp classes will surely make you work up a sweat and feel the burn. And that’s just what we want! Curated for strength building, you’ll be instructed to perform a variety of muscle exercises targeting your abdomen and core, arms, and legs, all while incorporating cardio activity at different intervals of intensity. Efficient boot camp workouts target your entire body, and with consistency and patience, will result in weight loss. If you are new to exercising or are recovering from an injury, one-on-one fitness training is the way to go. However, there are incredible benefits associated with personal training in general. Having your workout routines personalized for you and your specific needs will help you achieve your weight loss goals efficiently and effectively. With one-on-one training, you’ll reduce your risk of injuring yourself by being taught the correct ways to perform certain exercises. Your personal trainer can also help you set realistic and achievable goals, while also holding you accountable for your health. The encouragement and hands-on approach to personal training will equip you with the knowledge, motivation, and exercises necessary for staying consistent and losing weight. Read more about personal training here. Sometimes you don’t want to work out alone. We offer private partner training sessions for you and your friends, your significant other, your parents, or your children. If you’re needing a more personalized fitness session, but don’t want to work one-on-one with a trainer, grab a buddy and join a class. Not only will you experience an effective workout and gain knowledge through your trainer, but you will be doing it with people you know and have relationships with. And the more accountability, the better! 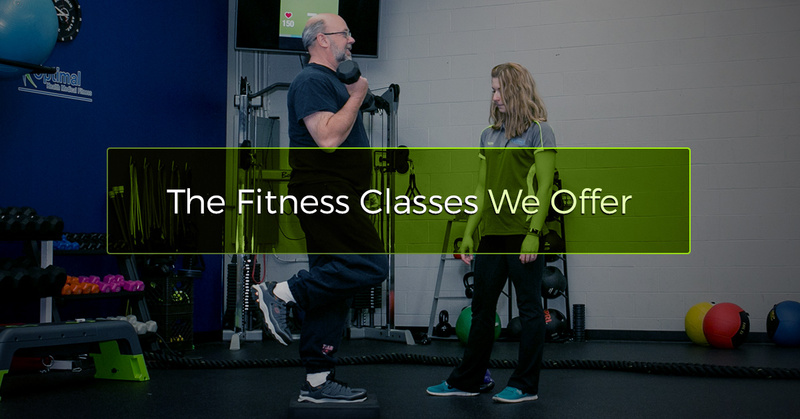 The classes we offer at Optimal Health Medical Fitness are designed to help you build strength, gain confidence in the exercise experience, and implement fitness skills that will benefit you for the rest of your life. 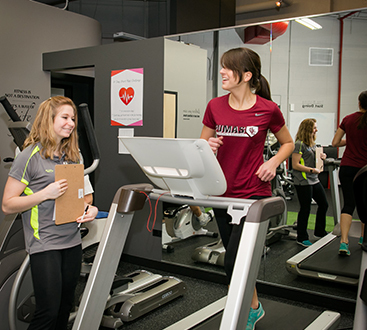 No matter where you are starting out or where you want to end up, we are dedicated to providing you with resources and accountability that will help you achieve your fitness, weight loss, and overall health goals. Don’t wait to contact us to learn more about our fitness classes and how we can assist you in your health journey. Call us today!